The information in the Guide to Anterior Implants provides a comprehensive explanation of the consequences of missing teeth, a comparison of dental implants and bridges, and a detailed description of anterior implant procedures. We encourage you to review all of the pages to help you make an informed decision about your treatment options. A dental implant preserves the bone by replacing the missing tooth root. A dental implant protects the adjacent natural teeth, as opposed to compromising them. 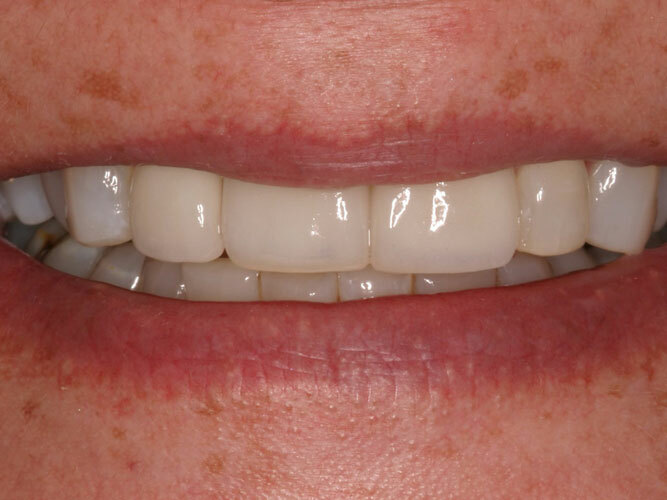 Superior long-term esthetics are achieved by preventing a visible defect in the bone. An implant crown is more hygienic than a bridge because it is cleaned like a natural tooth. 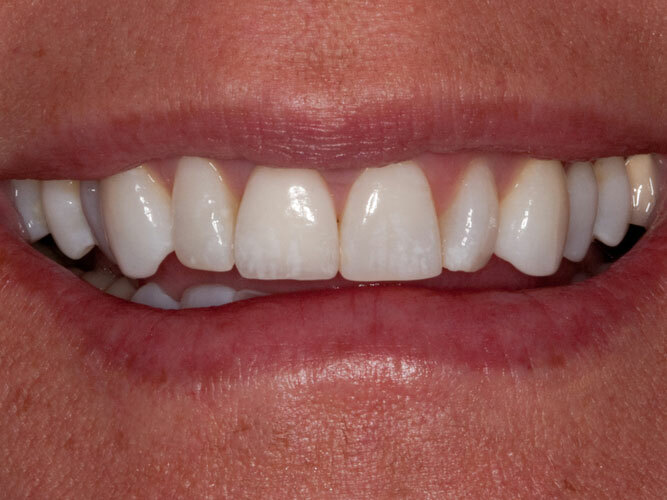 The photos below, courtesy of Dr. Aldo Leopardi, illustrate natural-looking replacement of anterior teeth with dental implant crowns. Dental implant treatment is the only solution that preserves bone. 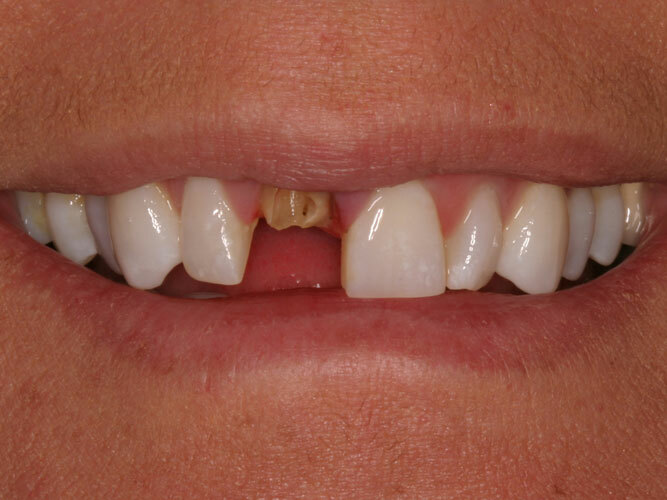 Superior long-term esthetics by preventing a visible defect in the bone as a result of tooth loss. No compromise to the health of adjacent teeth. 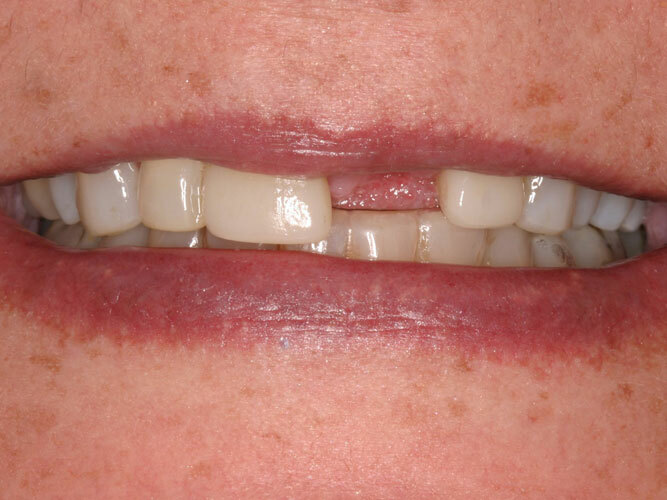 Long-term health of adjacent teeth is compromised by removing the enamel and placing additional forces on these teeth. Bridges typically need to be replaced every ten years (average). Each time the bridge is replaced more tooth structure is removed.